Comfort food. For a lot of us, that means meat and potatoes. And when the months start ending in “ber” those cravings for simple pleasures get stronger. Mashed potatoes, slow-roasted meat and warm, buttery rolls to sop it all up with. Yup, it’s time to get back to basics. 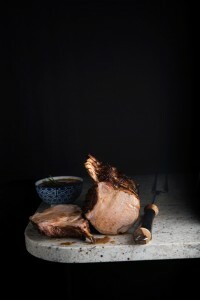 And this month’s recipes delve straight into the meat of the matter. Enjoy.